Many local residents will remember that Thames Water applied for planning permission to build waste overflow facilities under the green at Daly Way over four years ago. The local community resisted this strongly (the Conservatives supported it!) and we did our best to support them. The proposal was refused planning permission and, eventually, due to ideas put forward by a local engineer with relevant experience and continued pressure from the community and ourselves, Thames Water found an alternative (and much better) way of solving the problem. 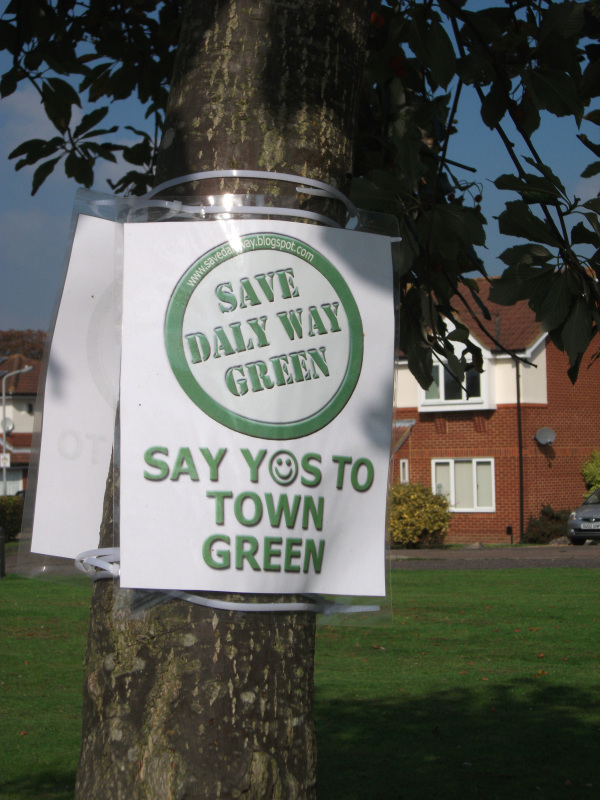 As part of the opposition to this project, the local residents applied to register the green as a “Town Green”. Aylesbury Vale District Council opposed this application largely on, in our view, spurious grounds involving precedent, so that meant that there had to be an expensive public hearing. The County Council have taken well over two years to organise this – so, of course, the main reason for the application is long passed. Nevertheless, we think that local people are right to pursue in. This is the only meaningful open space in Cumberland Park and losing it would be a major blow to the community. The leisure department at Aylesbury Vale failed to defend the green when the original application was made and, whilst a similar application is unlikely, it is not impossible. So we have to use what defences we can.